Our nation is rapidly aging. 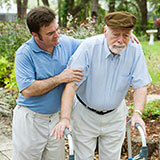 Individuals are living longer and there has also been an increase in the number of people living with a disability. In the United States, 10,000 people are turning 65 every day and more and more of them will live into their late 80s—an age that is a barometer for the potential demand for LTSS. The probability of having a disability increases with age. We know older people and adults with disabilities want to remain in their homes and communities for as long as possible. They want to receive services and supports in the least restrictive setting and be fully engaged and integrated in community activities. However, systems will need to evolve to better align with these preferences. States and communities must adapt and address issues around LTSS, transportation, and affordable and accessible housing. While there has been some progress in modernizing the delivery of LTSS, the urgency that we act now and expedite the pace of change continues to grow. Affordability and Access (6 indicators) includes the relative affordability of private-pay LTSS, the proportion of individuals with private long-term care insurance, the reach of the Medicaid safety net and the Medicaid LTSS safety net to people with disabilities who have modest incomes, and the ease of navigating the LTSS system. Choice of Setting and Provider (6 indicators) includes the balance between institutional services and HCBS, the extent of participant direction, and the supply and availability of alternatives to nursing homes. Quality of Life and Quality of Care (3 indicators) includes employment of people with disabilities living in the community, and two indicators of quality in nursing homes. 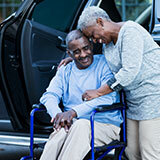 Support for Family Caregivers (single composite, divided into 4 indicators) includes legal and system supports provided by states and localities, the extent to which registered nurses are able to delegate health maintenance tasks to nonfamily members, and aspects of caregiver well-being. Effective Transitions (6 indicators) includes measures of hospitalization and institutionalization that should be minimized in a high-performing LTSS system. Download the FAQs for Policymakers as a PDF.